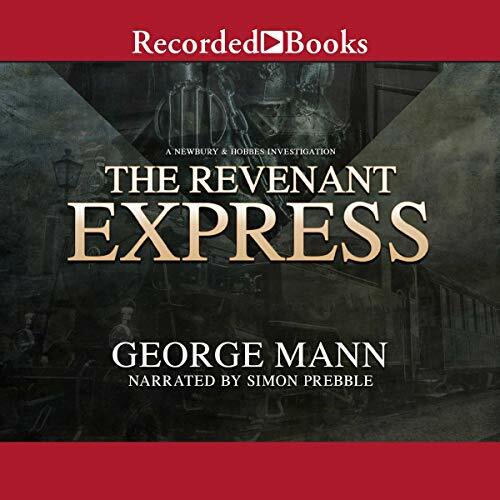 The grand adventure continues in Geroge Mann's Newbury & Hobbes steampunk mystery series, as a Victorian special agent races across a continent to save his beloved's life on board The Revenant Express. Sir Maurice Newbury is bereft as his trusty assistant Veronica Hobbes lies dying with a wounded heart. Newbury and Veronica's sister, Amelia, must take a sleeper train across Europe to St. Petersberg to claim a clockwork heart that Newbury has commissioned from Faberge to save Veronica from a life trapped in limbo. No sooner do they take off then sinister goings-on start to plague the train, and it is discovered that an old villain, thought dead, is also on board and seeking revenge. Can Newbury and Amelia defeat him and get the clockwork organ back to the Fixer in time to save Veronica? And can they do so without Newbury going so far into the dark side of occult magic that he can never return? Meanwhile, Sir Charles Bainbridge is the only one of their team left in London to struggle with a case involving a series of horrific crimes. Someone is kidnapping prominent men and infecting them with the Revenant plague, leaving them chained in various locations around the city. But why? It's a rousing chase to save both London and Veronica. Will these brave detectives be up to the task?